I never wanted to continue summarizing Honey Crush cos I was thinking of leaving the job to Dynasty Scans. Then I figured, hell with it, since I done Chapter 1 why not 2 lol. I believe noone minds right? 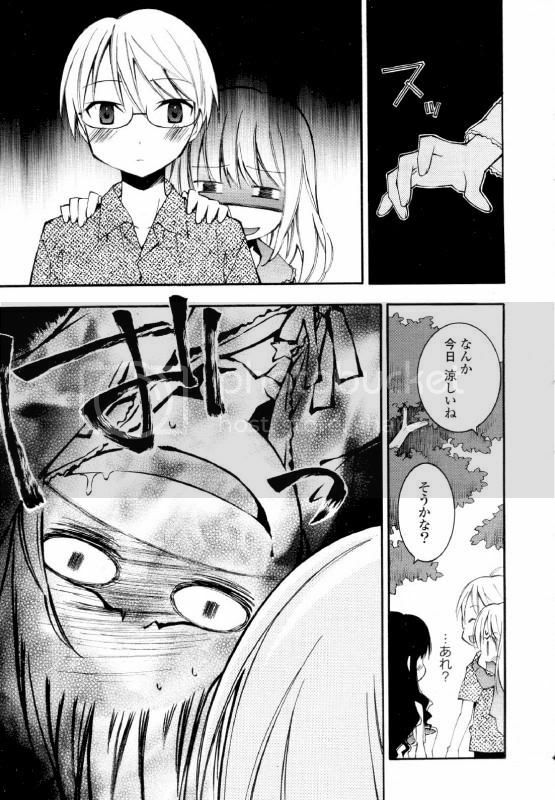 Continuing from the previous chapter, Mitsu's depressed that the person [Madoka] she's in love with has a boyfriend and even though she really liked Madoka, there seem to be no way to convey her feelings because her rival's a life human being while she's just a spirit. 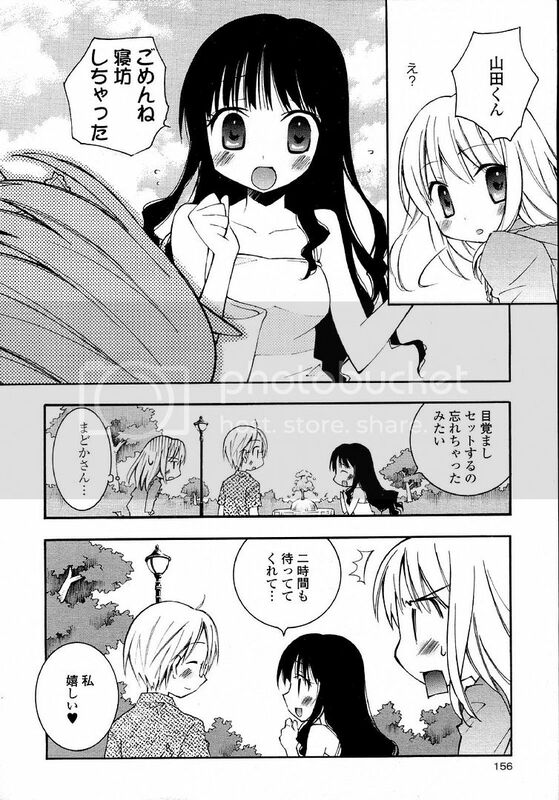 Mitsu's also pretty upset over the fact that Madoka doesn't seem to have any spiritual sense at all and so Mitsu's existence is practically zero. However, Mitsu stated that she still likes Madoka so she will NEVER give up and went on to whine at Madoka holding hands with boyfriend, Yamada-kun lol. Mitsu thought of a way to disrupt their relationship by making Yamada-kun late for their date. Little did she know, Madoka was late too and was impressed that Yamada-kun waited for her LOL. Mitsu then tried to use her 'scary' face on Yamada-kun but Yamada-kun's also one of those kinds who can't sense any spiritual energy LOL. Next, Mitsu had added some toothpaste in the sandwiches Madoka made the night before for the date and anticipated Yamada-kun to make a fool out of himself. 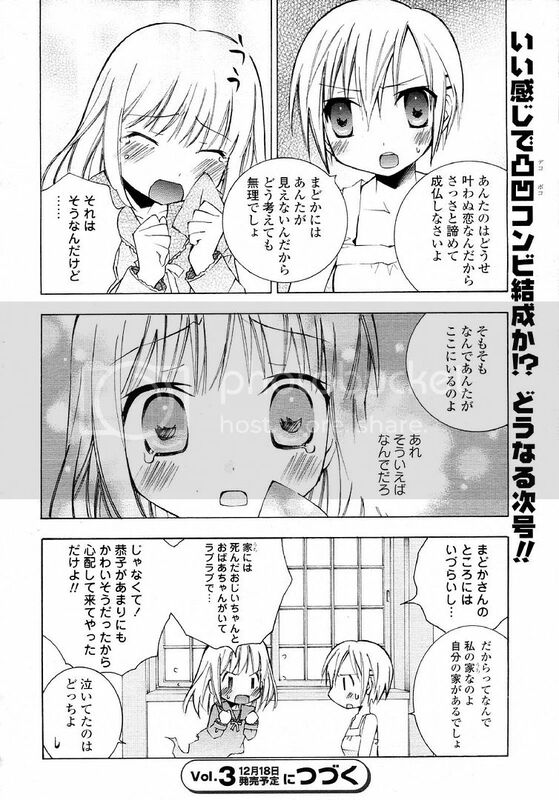 Unexpectedly, Madoka told Yamada-kun that she forgot to bring her share and so they shared the toothpaste flavoured sandwiches together ... and to Mitsu's horror, both of them doesn't seem to have taste buds and even thought the sandwiches to be pretty good LOL. In the end, Mitsu lost to the natural abilities of Madoka and Yamada-kun lol. 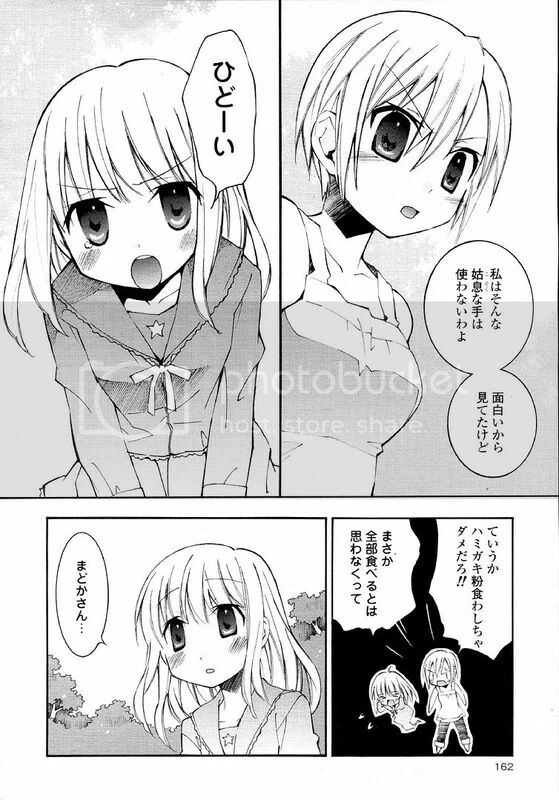 As Mitsu's worshipping the ground in despair, Kyouko showed up beside her and reprimanded her for the underhand tricks of hers. 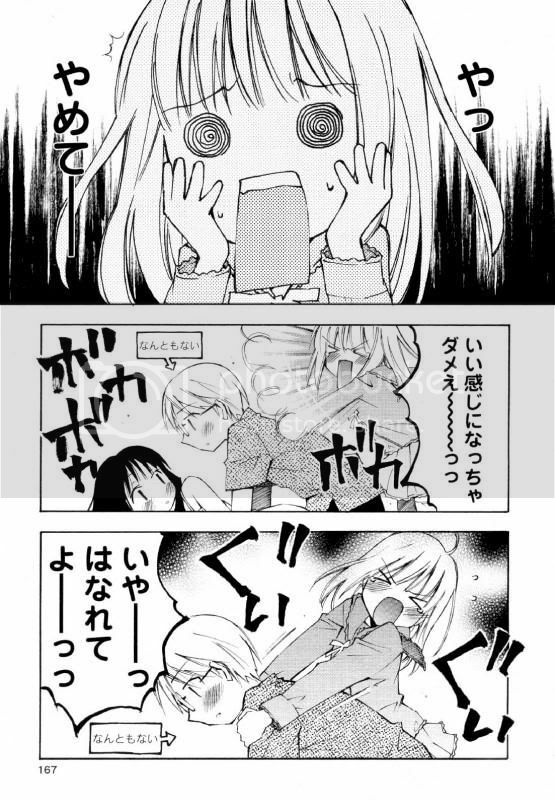 Seemed like Kyouko has not given up too. 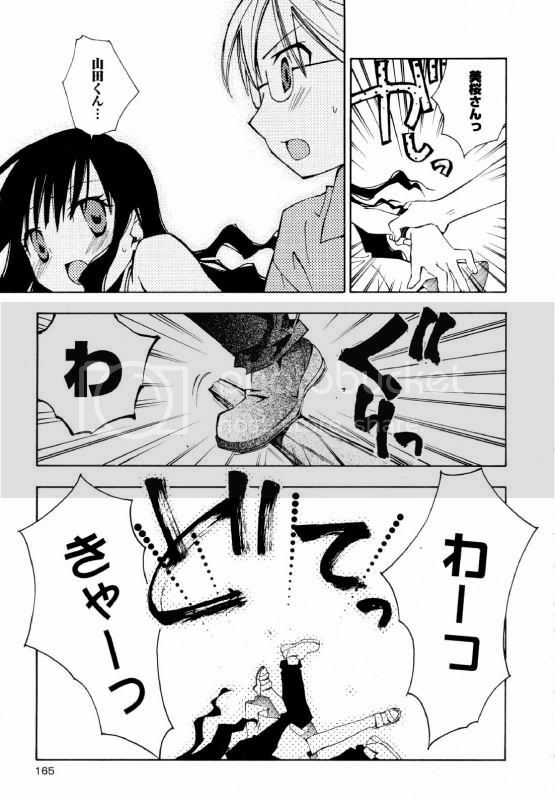 Mitsu thought of tripping Yamada-kun but accidentally tripped Madoka instead as she was moving forward to pet a cat lol. Yamada-kun tried to grab hold of Madoka but also fell along with Madoka. 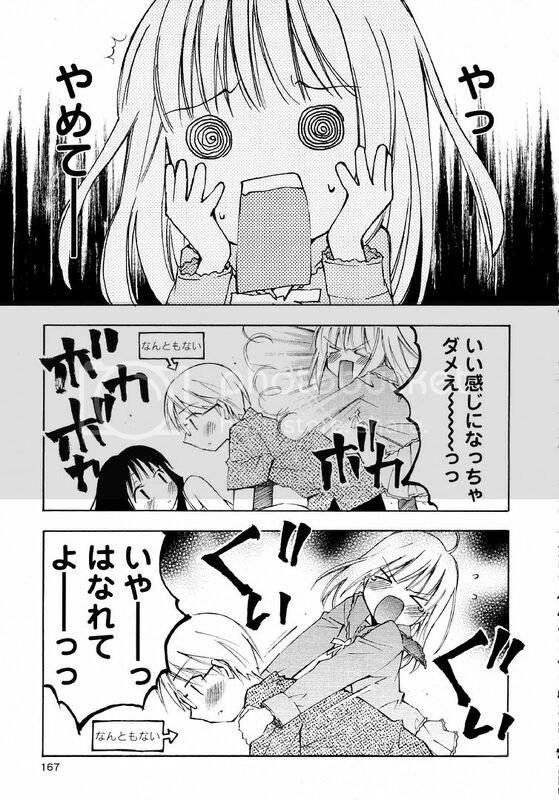 With Yamada-kun suggestively on top of Madoka, it created a rather romantic atmosphere for them to kiss lol. Mitsu tried to stop and push Yamada-kun from doing whatever he might do lol. 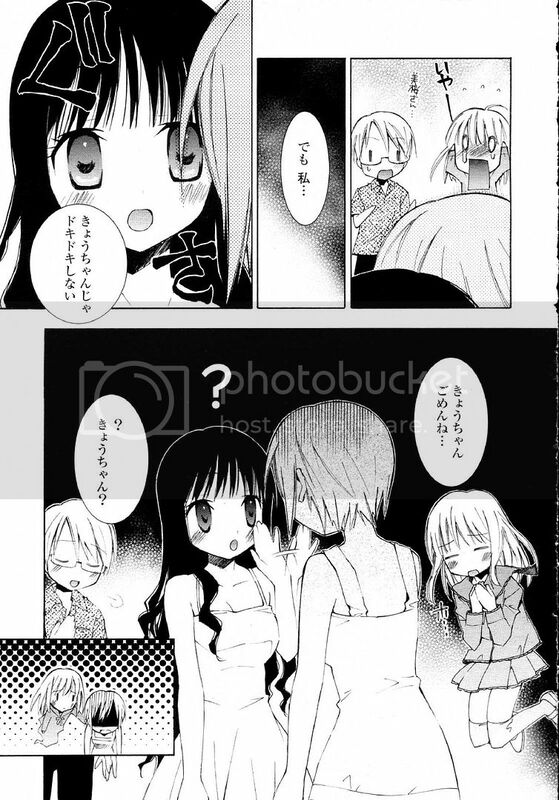 However, Madoka bluntly refused Kyouko's confession by stating that she doesn't feel her heart beating fast when she's with her lol which brought relief to both Mitsu and Yamada-kun lol. 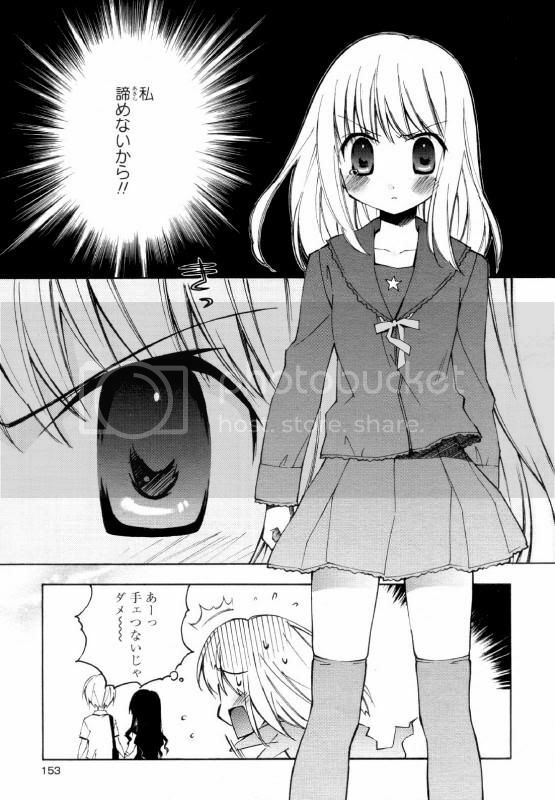 Back home, Kyouko thought to herself that she's merely seen as a mistaken male childhood playmate lol. 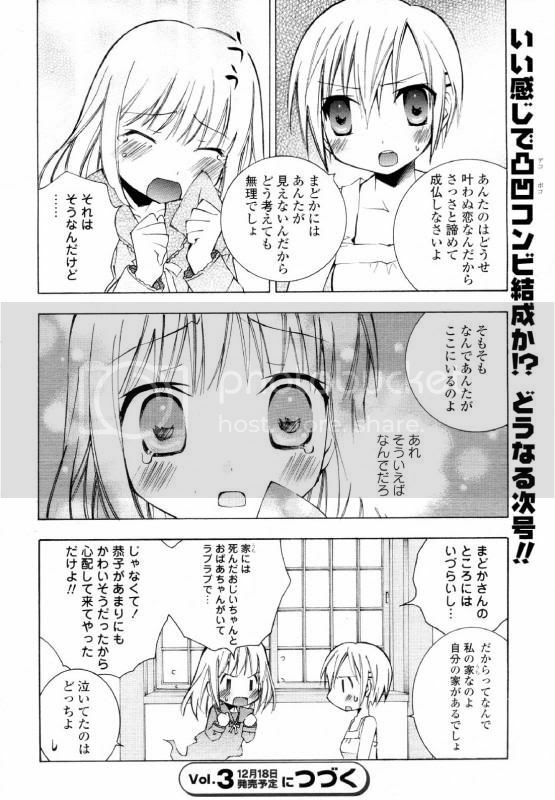 Kyouko added that they even promised to get married and their relationship was so good that it doesn't matter whether she's a male or not. 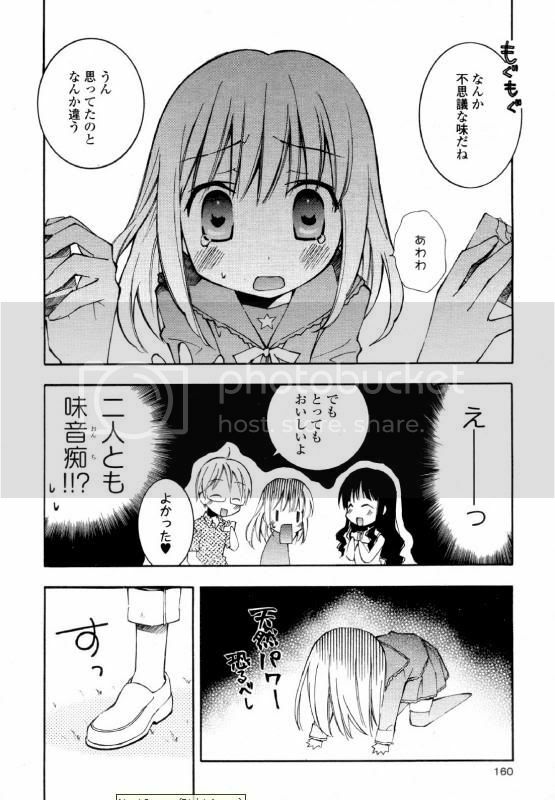 Kyouko sighed and thought to herself that she doesn't feel that depressed as she thought and wondered if it's because of Mitsu who was beside her weeping her eyes out lol. This chapter is interesting, seemed like Kyouko's interest is moving some where else ... heh heh heh. Thanks, it's a cute story. i lov u!! thx for ch2!! !ive been waiting for 4 months already! thank you!! srry actually 6 just hope you will cont with the rest!